Have a Morris County Staycation on Lake Hopatcong! During the Summer, one of my favorite places to go is Lake Hopatcong! Save yourself a trip to the crowded Jersey Shore and spend a day on the lake! Getting out on the water is the best way to spend your day and my favorite place to rent a boat is Bridge Marina (89 Brady Road, Lake Hopatcong | (973) 663-1976) There’s something for everyone – whether you want to relax or throw a big floating party. Get a pontoon boat, invite a group of friends, pack some drinks & snacks and you’re set for a day of lazily drifting along, enjoying the gentle movement of the lake and the unbelievable scenery. If you want a more active day in the water, you can rent jet skis or a fast boat with a multi-person tube or water skis. Or you can even rent a paddle boat for a slow tour along the lakefront. If you own your own boat, they’ll even dock it for you and provide seamless valet service any time you let them know you’re going out on the water. Ray and Becca Fernandez offer amazing service! Out on the lake and now you’re ready for dinner? You’re in luck because Lake Hopatcong is one of only three lakes in the state set up for boaters to dock right at restaurants and bars! This 4 square mile lake isn’t just the biggest in NJ – it’s the most fun! It’s no wonder that Lake Hopatcong Real Estate is always in demand. Alice’s Restaurant ( 24 Nolans Point Park Rd, Lake Hopatcong | (973-663-9600) is one of my favorite Lake Hopatcong restaurants – whether I’m arriving by boat or just dropping in after work. Their food is delicious and their cocktails are expertly mixed, but what makes this place extraordinary is its location. The restaurant is directly across the street from the lake and high up on a bluff where you can get amazing panoramic views. A row of windows allows you enjoy the view from the main dining room, but I recommend getting there early enough to grab a spot outside on the deck. Relax after dinner with one of their seasonal drink specials and watch the sun set over Lake Hopatcong! The Windlass Restaurant (45 Nolans Point Park Road, Lake Hopatcong | (973-663-3190) has its own dock, too, and it’s directly downhill from Alice’s. This Lake Hopatcong restaurant has been around since 1963 and is still run by the same family. If you like the idea of some Italian food right on the lake, you’ll love it here. You can watch sailboat races and the occasional family of ducks swimming by. The Main Lake Market (234 South New Jersey Ave, Lake Hopatcong | (973-663-0544) offers boaters one-stop shopping for a totally relaxed day. You can get gas for the boat, bait for fishing, made-to-order sandwiches, snacks, drinks and ice cream. They even have a selection of toys, crafts & clothes, and you can pick up an emergency tube of sunscreen if you forgot to pack one. If you want the best of both worlds, there’s a new option in town! Now you can enjoy a delicious brunch, lunch, dinner or cocktail hour aboard the Miss Lotta (37 Nolans Point Park Road, Lake Hopatcong | (973-663-5000) as you tour the full circumference of the lake. This brand new business is catered by Alice’s Restaurant and there’s so much more to it than a meal. The Miss Lotta will host with a 90 minute yoga class every Sunday – followed by brunch, wine and cheese tastings and even an annual 4th of July fireworks cruise. You can even charter the boat for your own private events! With stabilization systems for smooth sailing & a state-of-the-art AV system, the boat is a perfect place for a memorable party! 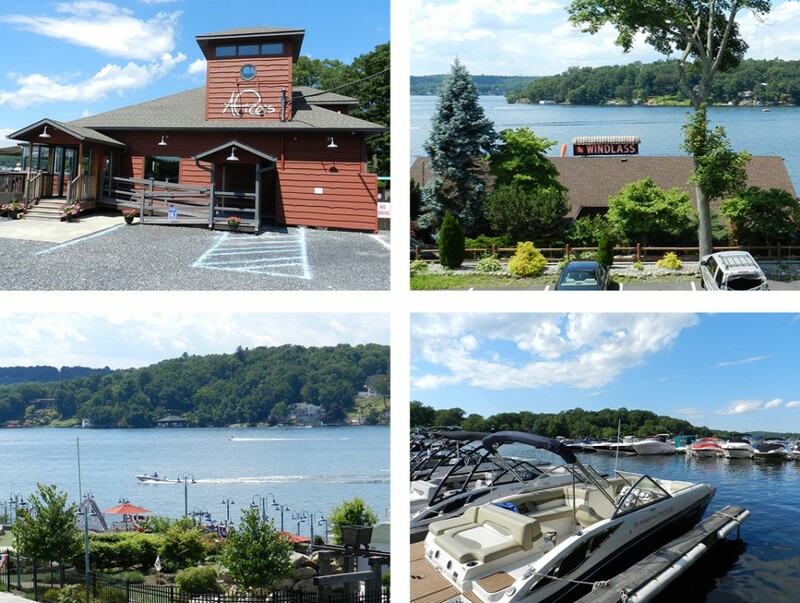 Done boating and eating at amazing Lake Hopatcong restaurants? Stop by the all new Lake Hopatcong Golf Club (37 Nolan’s Point Park Rd, Lake Hopatcong | (973) 663-0451) for 18 holes of locally themed mini-golf. Many of the holes recreate historic sites from around the lake for a totally unique mini-golf experience. Planning a trip to the lake? Let me know when you’re going and invite me along. And if you’re looking to buy some beautiful Lake Hopatcong Real Estate, I’d be happy to go for a real estate tour of the Lake! Jacqueline Scura is a Top Selling Agent in NJ and has over 28 years of experience as a Realtor. Her unparalleled local Real Estate expertise and involvement makes her a resource for Morris County Real Estate Advice & New, Town Events and Information and Household Tips & Tricks. She specializes in Parsippany Real Estate, Boonton Real Estate, Boonton Township Real Estate, Denville Real Estate, Montville Real Estate, Rockaway Township Real Estate, Caldwell Real Estate, Lake Hopatcong Real Estate and Mountain Lakes Real Estate. Narrow down your search for Rentals or Condos and Townhomes on my site!